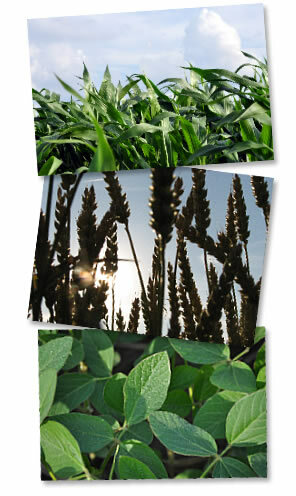 YP provides protection against a loss in yield due to unavoidable, naturally occurring events. For most crops, that includes adverse weather, fire, insects, plant disease, wildlife, earthquake, volcanic eruption, and failure of the irrigation water supply due to a naturally occurring event. Like the APH (Actual Production History) plan of insurance, YP guarantees a production yield based on the individual producer’s APH. Unlike the APH plan of insurance, a price for YP is established according to the crop’s applicable commodity board of trade/exchange as defined in the Commodity Exchange Price Provisions (CEPP). The projected price is used to determine the yield protection guarantee, premium, any replant payment or prevented planting payment, and to value the production to count. The coverage and exclusions of YP are similar to those for the APH plan of insurance. An indemnity is due when the value of the production to count is less than the yield protection guarantee. YP plan guarantees a yield based on the individual producer's actual production history. If the production to count is less than the yield guarantee, the insured will be paid a loss. RMA sets the price on a YP policy. Revenue protection provides protection against a loss of revenue caused by price increase or decrease, low yields or a combination of both (for corn silage and rapeseed, protection is only provided for production losses). This coverage guarantees an amount based on the individual producer’s APH and the greater of the projected price or harvest price. Both the projected price and harvest price are established according to the crop’s applicable commodity board of trade/exchange as defined in the Commodity Exchange Price Provisions (CEPP). While the revenue protection guarantee may increase, the premium will not. The projected price is used to calculate the premium and replant payment or prevented planting payment. An indemnity is due when the calculated revenue (production to count x harvest price) is less than the revenue protection guarantee for the crop acreage. RP HPE is similar to RP, however RP HPE coverage provides protection against loss of revenue caused by price decrease, low yields or a combination of both. Unlike RP, the revenue protection guarantee for RP HPE is based on the projected price only and it does not increase based on a harvest price. AYP coverage is based on the experience of the county rather than individual farms. Maintaining the insured’s actual production history is now mandatory and may be used by RMA as a data source to establish and maintain the area programs. AYP indemnifies the insured in the event the final county yield falls below the insured’s trigger yield. The Federal Crop Insurance Corporation (FCIC) will issue the final county yield in the calendar year following the crop year insured. Since this plan is based on county yields and not individual yields, the insured may have a low yield on their farm and not receive payment under AYP. Like the other area plans, ARP is based on the experience of the county rather than individual farms. Coverage is provided against loss of revenue due to a county level production loss, a price decline, or a combination of both. Upside harvest price protection is included which increases the policy protection at the end of the insurance period if the harvest price is greater than the projected price and if there is a production loss. ARP will pay a loss when the final county revenue is less than the trigger revenue which is calculated using the higher of the projected price or harvest price. Like AYP, ARP-HPE is based on the experience of the county rather than individual farms. Maintaining the insured’s actual production history is now mandatory and may be used by RMA as a data source to establish and maintain the area programs. An ARP-HPE policy provides protection against loss of revenue due to a county level production loss, price decline, or a combination of both. This plan only uses the projected price and does not provide upside harvest price protection. An indemnity is due under ARP-HPE when the final county revenues published by FCIC are less than the trigger revenue. Since this plan is based on county revenue and not individual revenue, the insured may have a loss in revenue on their farm and not receive payment under ARPHPE. APH is the oldest insurance product listed on this comparison. The APH plan of insurance provides protection against a loss in yield due to nearly all natural disasters. For most crops, that includes drought, excess moisture, cold and frost, wind, flood and unavoidable damage from insects and disease. Like YP, the APH plan of insurance guarantees a yield based on the individual producer’s actual production history. Unlike YP, the available price elections are established by the Risk Management Agency. An indemnity is due when the value of the production to count is less than the liability. Of the small grain crops, only oats, rye, flax, and buckwheat remain covered under the APH plan of insurance for the current crop year. Added Price Coverage Option (APCO) is a multi-faceted policy for corn and soybean growers that mitigates the risk of forward contracting by supplementing the coverage at which crops are insured. In the event of a yield loss, APCO may add up to 20% to the indemnity. APCO is available in 1% to 20% increments of additional coverage. APCO takes the guesswork out of forward contracting, increases indemnities in the event of a yield loss, offers protection against inability to deliver forward contracted grain, serves as an alternative to high disappearing deductible Hail Policies, helps secure operating loans using an Assignment of Indemnity. Corn and Soybeans are eligible for APCO coverage in most counties where MPCI coverage is available at 50%, 55%, 60%, 65%, 70%, 75%, 80%, and 85%. Catastrophic Coverage (CAT) is not eligible for coverage. APCO is available on Yield Protection (YP), Revenue Protection (RP), Revenue Plan with Harvest Plan Exclusion (RP-HPE), and Actual Production History (APH) plans. Revenue Coverage Option (REVCO) is a multi-faceted policy for corn and soybean growers that mitigates the risk of forward contracting by supplementing the price at which crops are insured. In the event of a loss, REVCO may add up to 20% to the indemnity. REVCO is available in 1% to 20% increments of additional coverage. REVCO takes the guesswork out of forward contracting, increases indemnities in the event of a yield loss, offers protection against inability to deliver forward contracted grain, offers additional protection from falling prices, serves as an alternative to high disappearing deductible Hail Policies, and helps secure operating loans using an Assignment of Indemnity. Corn and Soybeans are eligible for REVCO coverage in most counties where MPCI coverage is available at 50%, 55%, 60%, 65%, 70%, 75%, 80%, and 85%. Catastrophic Coverage (CAT) is not eligible for coverage. For each crop in a county, an insured may elect a REVCO price election modifier from 1% - 20%, in increments of 1%. The MPCI policy coverage level added to the REVCO price election modifier cannot exceed 100%. Production Cost Insurance (PCI) is a reliable, predictable risk management tool that not only underpins the cost of production in challenging growing seasons, but one that promotes best farm management practices each and every day, across virtually all aspects of the operation. PCI does this by providing a predictable annual revenue stream above defined, direct input costs. When adversity strikes at any phase of the crop production cycle, PCI supports producer confidence and empowers them to make optimal management and agronomy decisions. PCI is ideal for the producer with an operation committed to maintaining detailed and accurate records. An in-depth understanding of the operation's farming practices and finances is essential to getting the most out of a PCI policy. PCI is especially beneficial for progressive farmers who would like to make larger investments in their crop. PCI eases the financial pressure on producers by allowing them the latitude to incur higher production costs as they strive to attain higher yields by diversifying their operation, purchasing improved seed varieties, or applying specialized ag chemicals. Click on the video below to learn more about PCI. PCI Complete is an endorsement to PCI, which works in tandem with the farmer's underlying MPCI coverage to provide a complete range of gross margin protection. PCI Complete differs from the traditional PCI plan in two ways: first, the producer will receive a premium discount when PCI Complete is selected. Second, regardless of their actual MPCI coverage, the PCI Complete indemnity will be reduced by the amount of indemnity which would be due under a simulated Revenue Protection policy with enterprise units and a coverage level of 75%. The policy is otherwise quoted and underwritten with the same rules as traditional PCI. PRF is a FCIC-reinsured risk management tool offered by ARMtech for farmers and ranchers who rely on pasture, rangeland, or forage for haying and/or grazing. It cov­ers coverage for a significant reduction in rainfall amount in a given geographic area (or grid) containing the insured property. This policy is designed to give you the ability to buy insurance protection for losses of forage produced for grazing or harvested for hay, which result in increased costs for feed, destocking, depopulating, or other actions. PRF indemnifies the insured in the event a grid’s accumulated rainfall index is below the insured’s “trigger grid index” for the period of insurance. The PRF policy uses the data from each grid to determine indemnities rather than that of individual farms or ranches. PRF is not based on individual farms or ranches, or specific weather stations in the general area, and both grazing land and hay land utilized for forage production may be insured. This coverage is offered for landlords and tenants, as well as owner/operators. A full line of hail insurance products are available, including Production Hail. Call our office at 937-393-8800 for more information.